After spending his 20s traveling the world and hopping from job to job, Gabriel Schirm was lost. At 32 years old, he desperately needed to find direction and meaningful purpose in his life. 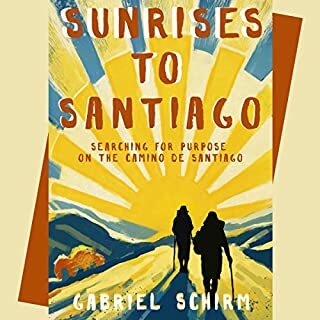 With no physical training, he decided his answers were waiting for him somewhere along the historic 490-mile pilgrimage route called the Camino de Santiago in Spain. Pilgrim seeks sinners for mutually beneficial arrangement. Tireless. Result-oriented. Reliable. Seven Deadlies a specialty. On her 1,300 kilometre pilgrimage from Granada to Galicia, Ailsa Piper carried an unusual cargo. 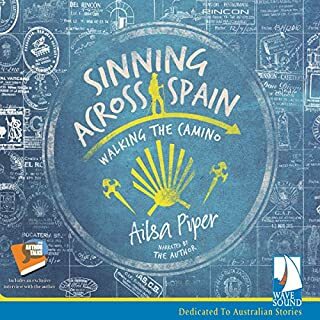 Walking in the tradition of medieval believers who paid others to carry their sins, Ailsa lugged a swag of confessions from friends, colleagues and strangers. This book will rock your beliefs about fear, security, and taking risks. "I want us to walk the Camino de Santiago; it's an 800-kilometer pilgrimage across Spain." After deliberating the wisdom of walking 500 miles with no planning or physical conditioning and little religious faith, the two set off to walk the "Way of Saint James". Their "no-plan" plan sets off a series of extraordinary events that can only be explained as divine intervention. 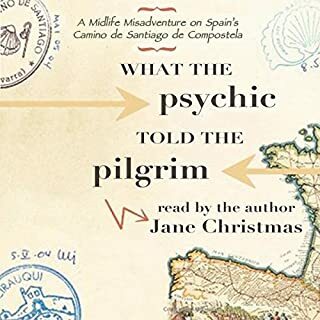 It starts with an enigmatic suggestion from a former pilgrim who sends them off with a caution: "There are no coincidences on the Camino." 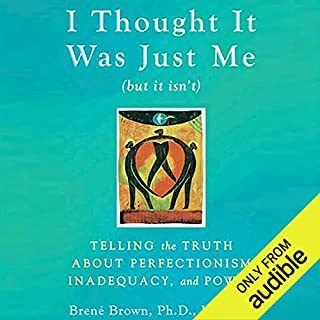 If you've ever doubted yourself or your abilities, listen to this book. "Lose the fear...live the life!" I enjoyed the story well enough but I found the female narrator spoilt my full enjoyment. From her atrocious accents to her truly irritating downspeak, I cringed at many a sentence. 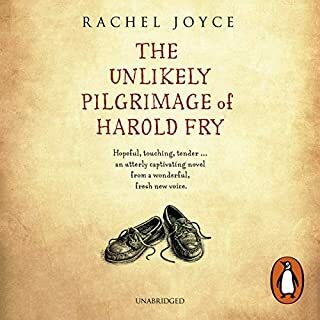 The journey was well enough described but did not inspire me at all - despite the fact I have a friend about to embark on this epic journey and I had considered joining her. Nothing. It was doomed from the start. How walking anywhere in Europe can be made so boring beats me. What was most disappointing about Elaine Orabona Foster, PhD and Joseph Wilbred Foster III ’s story? Ten percent Camino-- that was the good bit. Ninety percent self analysing her own strange fears and then having the nerve to try to fix other peoples problems. The sort of person I stay well clear of when travelling/walking. It was boring and uncomfortable and I think her husband deserved a medal, though he gradually became a bit the same as his wife, unfortunately. The female voice was depressing and stressed, though I suppose it suited the depressing character she was portraying. The Australian accents were dreadful, and no, not every Australian speaks like Steve Irwin, just like most Americans don't speak like Forest Gump! Disappointment, and occasionally anger that such a wonderful experience ( for most people) can be reduced to this. I suggest the authors do the Camino again, don't take notes, don't write a book, and just try to enjoy the walk. I really struggled to get to the end, and derived no pleasure or personal enlightenment or benefit from this book. What was the deal with her feet? What did you like best about In Movement There Is Peace? What did you like least? I did the last 110 km of The Camino with a group of someone, most over 65 years old. I know people who have done the whole thing. Never has anyone complained about feet as much as Elaine did. Geez. Bad boots, or something. Anyway, story seemed a little too perfect in terms of their emotional experiences, the religious fulfillment, the promesa, etc. I preferred hearing about the experiences of the trail itself, the food, the scenery, the history, the people they met. All the angst was a little much. Would you recommend In Movement There Is Peace to your friends? Why or why not? Was In Movement There Is Peace worth the listening time? This is not just a travel guide about the Camino it is the chance to experience another's journey. 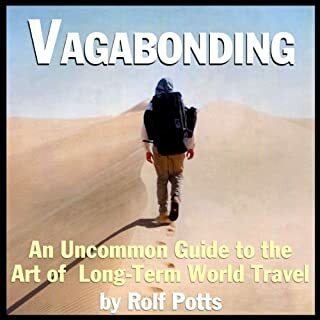 The Fosters share with you thier inner struggles while departing wisdom and travel tips along the way. 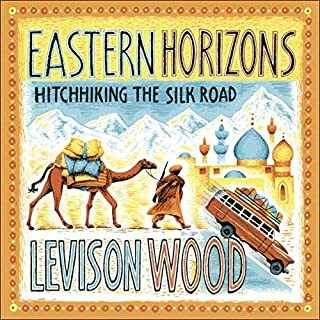 Engaging, funny, sad, and joyful....this is a journey that will keep you engaged. Good story abou the Camino. If you could sum up In Movement There Is Peace in three words, what would they be? 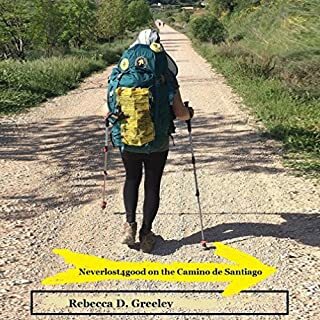 It was a well written and honest memoir of the Camino. It was an enjoyable listen, and I will listen to it again at some point. Honest from the prospective of just how hard the walk was for them both. Neither author droned on endlessly about their own issues, and like all of us, they had baggage they brought along. It was nice to see them addressing and dealing with their real life issues. We all have them, and it makes me want to walk the Camino someday to deal with mine. I am not religious any way, but what better cathartic is there besides walking! I liked the two narrators. The vibe was very positive but it came across by the end, to be a bit cheesy in my opinion. Can’t say enough great praise for the book and audio. Allow yourself a listen to it. I could not stop listening. I even bought the book itself. It captured and reflecting my own Camino. The trials and tribulations are true. The people are real. My own Camino resulted in a relationship break up. I now realize why it occurred. The Camino does work in wondrous ways. This book put my thoughts into words. I have shared this book with friends and Camino family friends. Enjoyed immensely this book. I found it very moving. Something I will listen to more than once. 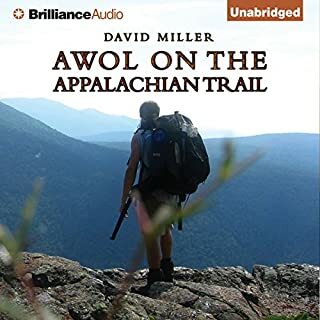 Great book for hikers too. Applies to any long hike I think. Is not the outdoors always a spiritual and personal experience? I began this book with expectations that it would add insight to the journey that I hope to embark on in 2018. I expected to gain insight into this couples hike along the Camino. What works and what could be done differently. I also expected to learn something about how their hike helped them to grow as a couple and to see how they changed over the course of the 500 mile hike. Instead, I felt like Elaine was selling herself as a psychologist and looking for business. The longer the journey went on, the more I felt she was forcing the story and maybe even exaggerating on her trials and tribulations. I saw two bright and well educated individuals whine their way along the Camino. Overall, confused and disappointed. 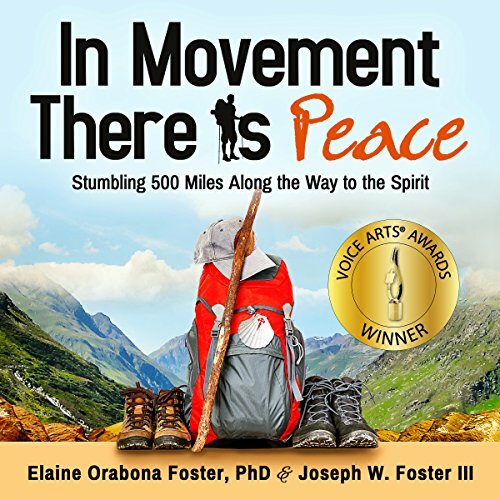 Would you consider the audio edition of In Movement There Is Peace to be better than the print version? It was good to hear Elaine and Joe in their own voices and words. You really heard the struggles they were going through and felt the physical and emotional pain by hearing it. What other book might you compare In Movement There Is Peace to and why? 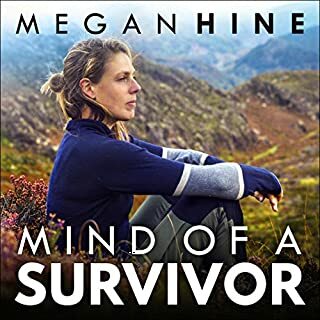 I could hear Elaine's voice crack near the end and really felt she was at a breaking point, but the serenity and cal;m that she found also showed through. The walk kept me riveted and I felt like I was walking with them. I want to do this myself someday. Both the male and female narrators did an excellent job. I actually thought that they were the authors until I looked it up. I will look for more books that they narrate. They seemed to have a great connection. 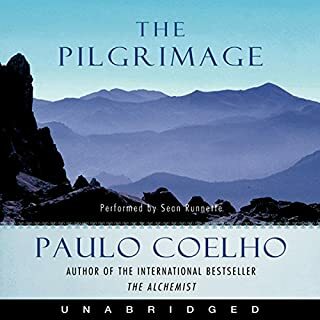 I enjoyed this book as a reminder of my own Camino. 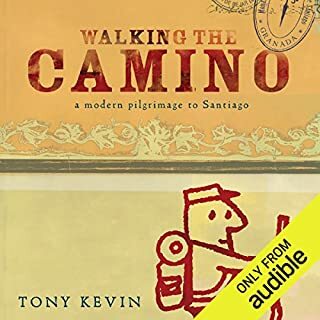 Everyones walks their own Camino including the authors yet they wanted to compartmentalize theirs and pass it off as this is what everyone will experience. Many time I found them trivializing experiences others have had because it wasn't their experience. Otherwise it was an interesting listen. I truly enjoyed this book. Listening to the story on Audible as I walked helped to motivate me in my new walking regimen. It felt like I was walking with people who understood that it is difficult to get moving after such a long period of inactivity. There were times, though, that I turned off the story just to listen to the birds and wind and traffic. The story is inspiring and has started me thinking of my next experience/adventure. I loved the way you hear the husband and the wife's story side by side. Very clever. I didn't always like the accents of the English people and some of the other nationalities whose English was their mother tongue. But it is a great book .